“Kyarenga”, a song about a poor man vying with a rich rival for the affections of a woman, is popular for its exuberant beat. 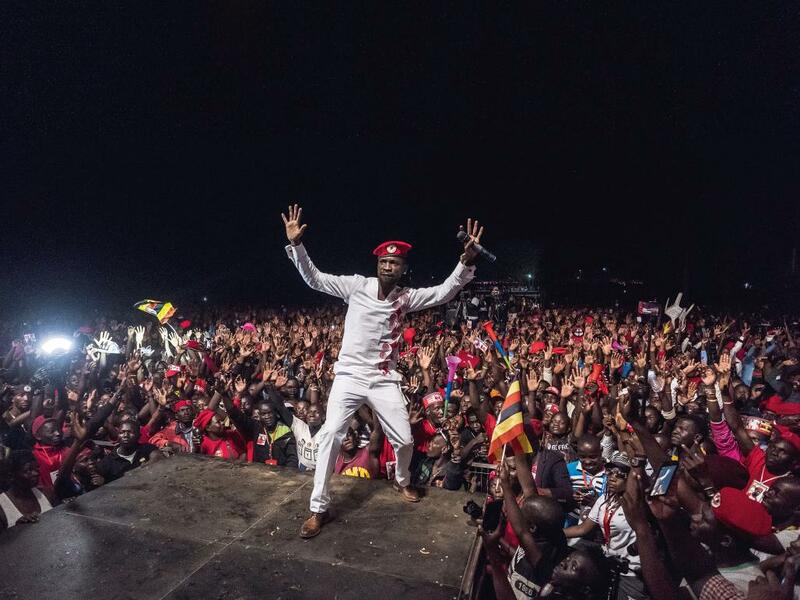 But its appeal is also down to its author, Bobi Wine (above), a pop star and politician famous for criticising Uganda’s sclerotic politics. Last year, during a fractious by-election, he was arrested, beaten and charged with treason. Now he’s free on bail, but the police often cancel his concerts. No wonder that some hear a coded message in the lyrics of “Kyarenga” (It’s too much). He would love the girl, he sings, even if it meant being tear-gassed. Is she a metaphor for Uganda? Is the bullying rival Yoweri Museveni, the country’s president? “Here in Uganda today everything is political,” says Wine. Rosalía is a household name in Spain. The Catalonian pop star’s fusion of flamenco and trap, coupled with her fierce visual style, have made her a kind of Iberian Beyoncé. In November she won two Latin Grammys for her transfixing song “Malamente” (Badly). Catalan nationalists are usually quick to trumpet any cultural triumph from their region, but they’ve kept uncharacteristically quiet about Rosalía. Growing up in a working-class suburb of Barcelona, she was surrounded by migrants from Andalusia. Her music video for ”Malamente” is filled with imagery of priests and matadors-in-training, a homage to Andalusia – and for some, an uncomfortable reminder of how Spanish many Catalans feel. A few days after Matteo Salvini became Italy’s right-wing deputy prime minister in 2018, he found himself on a bus in Rome being serenaded by a group of fellow travellers. Their anthem? “Bella Ciao”. “He really did not appreciate it,” one passenger said. A protest classic, “Bella Ciao” has long been a rallying cry of the left. The song emerged in the 19th century in the fields of northern Italy, where seasonal workers did back-breaking work for little pay. During the second world war anti-fascist partisans adopted it as an anthem. This year, “Bella Ciao” has been given the capitalist treatment and turned into an electro club hit. But for many Italians, it remains subversive. At a November rally for Salvini, the police stopped and questioned two women for singing the song. The military junta that seized power in Thailand in 2014 has repeatedly postponed elections and criminalised dissent. So it’s remarkable that Rap Against Dictatorship, a collective, recently managed to slip a blatantly anti-military song past the censors onto YouTube, where it has been viewed more than 51m times. In the searing “What My Country’s Got”, the rappers critique the country’s corruption, political violence and “a charter [that] is written and erased by the army’s boots”. On screen, cheering spectators appear to gather around the rappers, but it soon becomes clear that they are actually there to watch a lynching – a daring reference to brutality against anti-military student protesters in 1976.